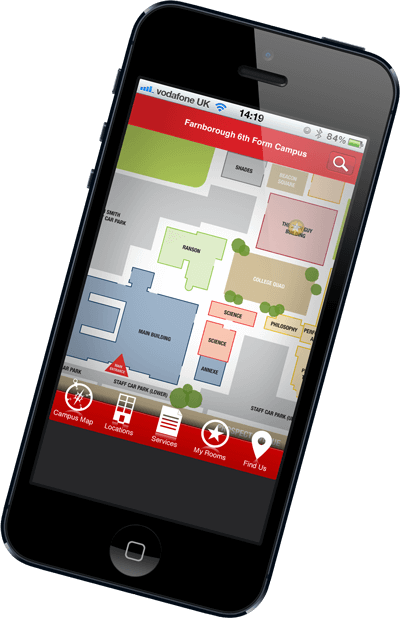 6th Form College Farnborough | First Option Software Ltd.
To develop a smartphone app to be a definitive guide to the campus for visitors, staff and students, provide an information resource of college facilities and eventually to interact with live timetables and events. “This is what every college student needs, so helpful and easy to use”. The 6th Form College app was a concept borne from a need – to provide a simple, easy to use mobile solution to finding your way around an unfamiliar venue. The staff and students at the college embraced the challenge to work in partnership with First Option Software on a prototype app, initially for iOS but to be subsequently rolled out to Android. The key is in the customised mapping, which can provide a building-by-building, floor-by-floor and room-by-room guide to location and facilities – basically, how to get there and what to find when there. With Google and Apple maps leading the way in mobile and online map navigation, it was, naturally, important to include that facility, but where the app departs from this is in providing customised detail of buildings, rooms, floors and facilities. As part of an ongoing project – the Farnborough app provides the pilot for a series of apps based on the YourMapp® platform to be rolled out to many different sectors – the key is to keep it simple and affordable. There are more complex (and expensive) solutions out there that are unnecessarily clunky, difficult to navigate or simply don’t work. 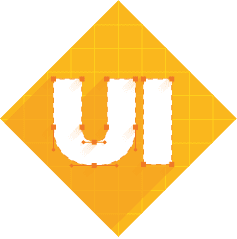 There are other so-called apps that are little more than a series of links to information pages with static pdf maps that provide no interactivity or useful function since they are totally static and too small to show detail. All these features can be customised according to the user’s requirements – some venues may have no need for individual room descriptions, for instance, but might require details of availability of certain facilities based on seating capacity or equipment levels. As well as the many features which come as standard on the entry level version, First Option Software and Farnborough designed the app with future enhancements in mind. Specific to the college environment, top of the list is interactive integration with the college timetable and with exam timetable in particular. More general enhancements might include more sophisticated navigation option, Twitter (and other social media) feeds, online ticketing for events, e-commerce, interactive forums, calendar feature and augmented reality. Paramount to the success of an app is how it works for the individual client – so as well as additional extras which can be bolted on to the existing model, First Option Software are already working on further developments of YourMapp®in order to provide an easy to use mobile and desktop app that features a satisfying user experience whilst enhancing the benefits of the core offerings.